For over 20 years, CREA Mont-Blanc has been dedicated to pursuing the goal of increasing understanding of mountain ecosystems. When you become a member of CREA Mont-Blanc, you show your support for our work, and you become a part of our community. 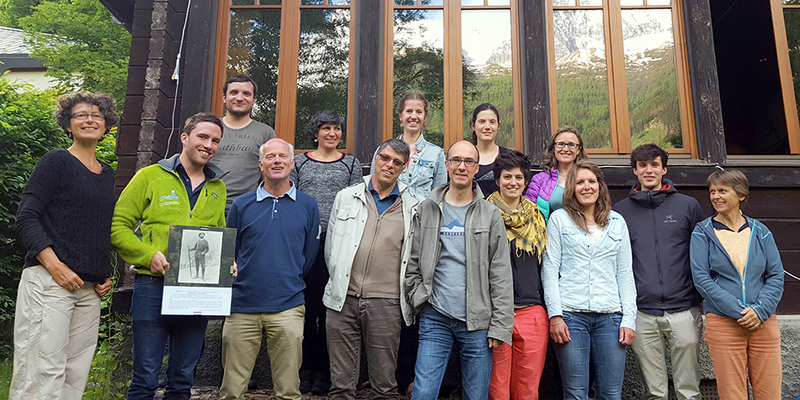 Members of CREA Mont-Blanc receive our newsletter, are welcome to volunteer time with us in the field and have a voice at our annual meeting. Join the CREA Mont-Blanc community and help us to build, sustain and share our research! To learn more about how our organization is governed or to consult annual reports, please visit the About Us section of our website. CREA Mont-Blanc is a non-profit organization as defined by the French Association Law of 1901. Annual membership dues are 20€ and additional donations are welcome. If you declare income taxes in France, your membership dues and donations are tax deductible charitable contributions. Find more information on the French version of this page. We appreciate your support! Online: All online memberships and donations can be made via the simple and secure web platform Helloasso. International credit cards are accepted. Unfortunately, we can only process French checks at this time. In person: If you happen to be in Chamonix, we encourage you to come visit us at the Mont Blanc Observatory! While here, you can fill out a membership form and pay by cash or with a check made out to CREA Mont-Blanc.